Nearly 2,000 objections to a proposed boutique hotel at the top of Saqqajja Hill, Rabat, were submitted to the Planning Authority ahead of the close of public consultation. Residents, heritage groups and the Rabat local council are among those calling for the rejection of plans to convert two Victorian townhouses into a four-storey guesthouse. The application seeks to add two floors to the existing buildings, as well as to construct an extension in the present garden including a swimming pool, bar and restaurant. 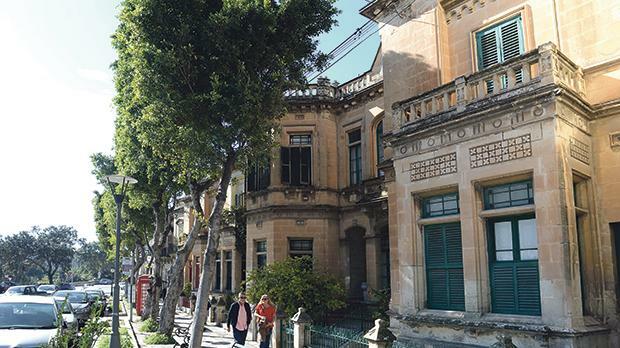 The plans have drawn the criticism of the Superintendence for Cultural Heritage (SCH), which objected to what it called an “excessive and inappropriate” development. The heritage watchdog said the increase in height and volume would “totally change the character of the properties and will have an unacceptably negative impact on the streetscapes in two streets”. The Rabat local council has also voiced its opposition, saying the development would be a “blight” on its environment and the “unspoiled” row of architecturally-important houses and their back gardens. “The local council follows hundreds of applications, but we feel that this proposal will destroy the fabric of Rabat and Mdina, as well as the area’s touristic offering. “It will also create a precedent for the continued destruction of Saqqajja and Vjal Santu Wistin,” it said. Thousands of residents and members of the public submitted their own objections following a campaign by local organisations and heritage groups. In a statement on Saturday, various NGOs – Flimkien għal Ambjent Aħjar, Moviment Graffitti, Malta Arch, the Malta Archaeological Society and Din l-Art Ħelwa – said the proposal would wreck the area’s character. “This new hotel will undoubtedly impact residents due to the increased traffic it will generate in an already congested area,” the groups said. The NGOs called for the application to be rejected on the basis of the area’s height limitation policy and, in view of the excavations that would be required, its archaeological significance. They also called for the PA to protect the streetscape by designating it as a Grade 2 scheduled area. The application has not yet been assessed by the PA. A decision is expected in February. The proposal is one of two for new hotels in the area, with a second seeking to build a 110-room hotel over five terraced floors on the site of the former Tattingers nightclub further down Saqqajja Hill.